Warm greetings from ETSC where we are now in the middle of the spring semester and our final year students are beginning to be excited at the prospect of graduation and what lies beyond. It has been an eventful year so far, including two big book launches! 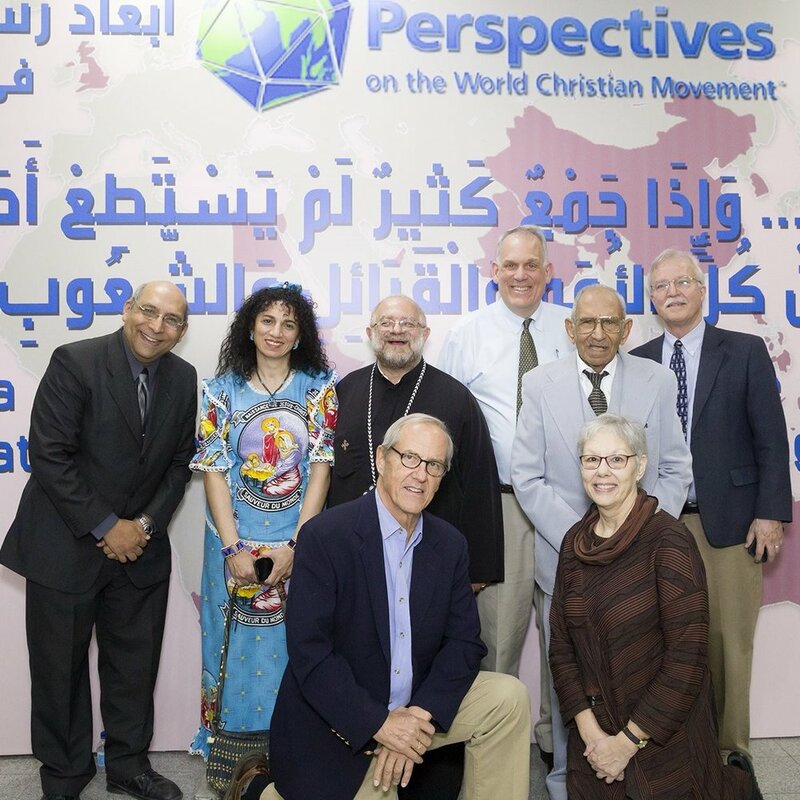 On Friday, March 9th ETSC celebrated the book launch of the Arabic translation of Perspectives on the World Christian Movement. 150 people gathered to hear speeches by Dr. Atef Gendy, ETSC's president; Steve Hawthorne, the general editor of Perspectives; Dan McNerney, a representative of Frontier Fellowship; and Swailem Hennein, the translation supervisor. It is the culmination of over ten years of work, which was initiated by Swailem Hennein in 2006 and involved 17 people translating the136 articles on mission which make up the collection. The book has two volumes and is accompanied by a study guide. We give God thanks for all who worked to bring this project to fruition and especially our partners from Frontier Fellowship and The Outreach Foundation who provided the funds. 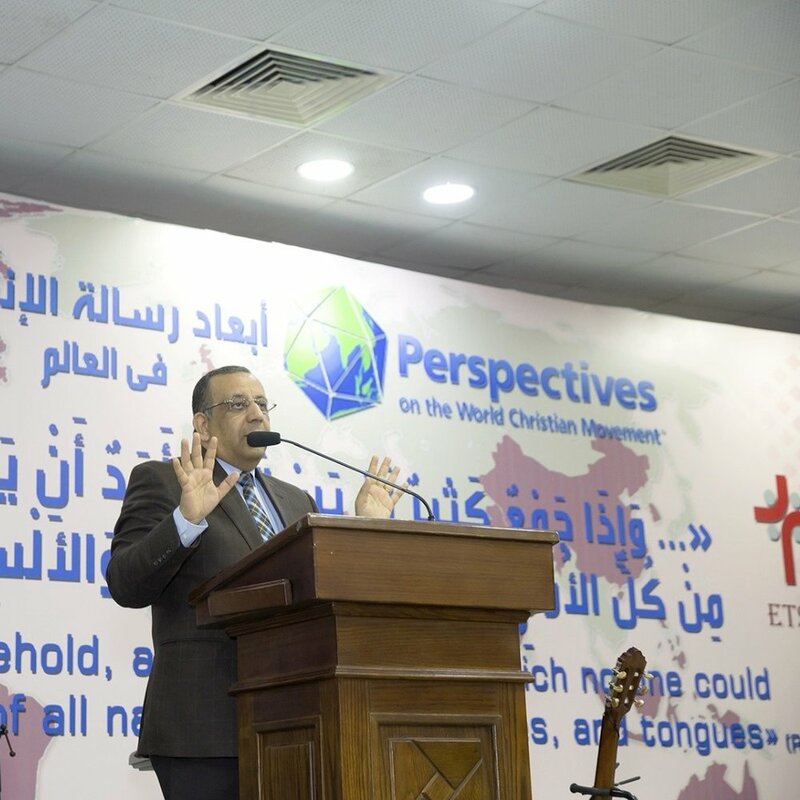 In January ETSC hosted the Egyptian launch of the Arabic translation of John Calvin’s Institutes of the Christian Religion. This was a big event which drew people from the wider Middle East including Dr. George Sabra, president of the Near East School of Theology (NEST) in Beirut and the editor of the Calvin translation project. The translators were Lebanese and Egyptian and included Victor Makari, well-known to many of our American friends as a longstanding Middle East area coordinator for PC(USA). Speaking at the launch, Dr. Atef Gendy highlighted the cooperation between Egypt and Lebanon in this project and also mentioned that a team from ETSC would soon be meeting their counterparts at NEST to plan for future translation projects. Sawsan Tannoury, the director of the Dar Manhal al-Hayat Publishing House which published the translation in two handsome volumes, stressed the enormous impact Institutes had on the Reformation and which continues today. Translation into Arabic is vitally important to allow Christians in the Middle East to access works written in other languages. ETSC’s own translation projects are undertaken by our publications committee and by the Center of Middle Eastern Christianity (CMEC). Our Center for Middle Eastern Christianity is a superb facility. It runs many seminars and workshops, drawing participants from a wide spectrum. In 2017 it introduced a certificate program in Arab Christianity in collaboration with the Bibliotheca Alexandrina. There were 20 participants, including seven from the Muslim community. This was an exciting venture, especially since the lecturers included a Muslim scholar, two Orthodox bishops and a Jesuit father, along with our own director, Dr. Wageeh Mikhail. The students graduated in a colorful ceremony in October. A new course has already begun, this time with 30 participants who will graduate in May. Half the participants are women. The program covers the history of the Church in the Middle East, the Church’s contribution to Middle Eastern culture and the works of several Christian theologians. The course is not just academic but gives the students an opportunity to be together and build relationships, seeking wisdom and understanding from each other. One important feature is that the group members prepare their own meals on Friday and Saturday and eat together. Two of our 2017 M.Div. 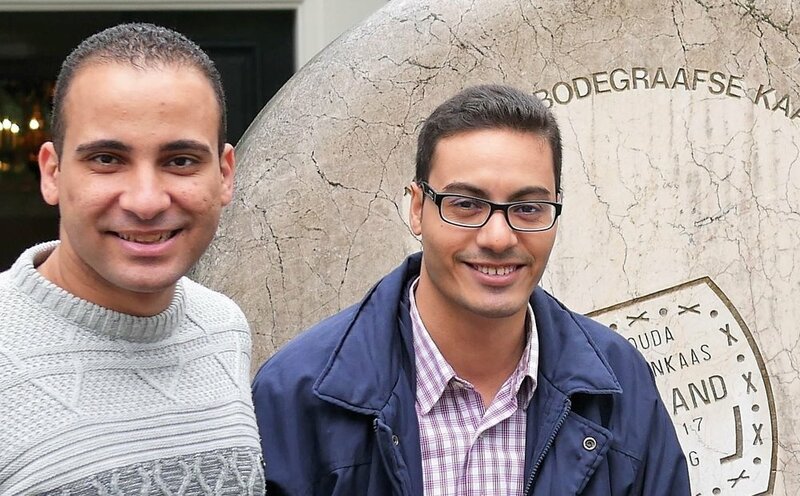 graduates, Ephraim Masoud and Maurice Gaber, were selected for the “Bridging Gaps” program at Vrije Universiteit, Amsterdam. This is the first time that anyone has participated from ETSC. In the program both developed their own research, Maurice on “Exorcism in the New Testament and Egypt’s Context” and Ephraim on “Paul’s Conversion in Acts.” They also took two courses on contextual studies. It was good for them to get to know the other participants of the program who came from many different parts of the world, as well as to be exposed to life in the Netherlands. Both had the chance to visit congregations in the rural part of the country and engage with local Dutch Christians as well as with the new Arabic Protestant Church in Amsterdam. This was a wonderful opportunity for our two graduates to have; it is hoped that other Egyptians will participate in the program in the future. 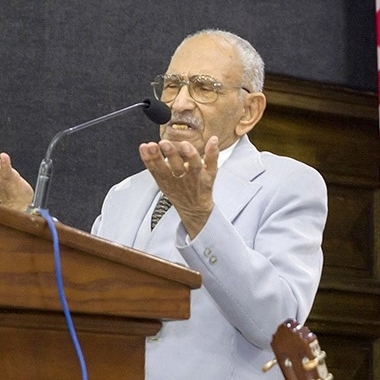 Read more about the Evangelical Theological Seminary in Cairo HERE. The Outreach Foundation is seeking gifts of $10,000 per month for scholarships and operations; $20,000 for the Center for Middle East Christianity; and $80,000 for capital improvements of a newly purchased flat that will expand program capabilities for ETSC.